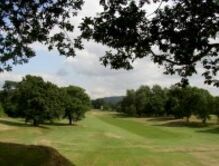 The Cheshire County Card scheme shall be conducted and managed by the Cheshire Union of Golf Clubs Ltd which shall have power to make rules and to vary such rules from time to time as may seem expedient through the Board of Directors of the Union. 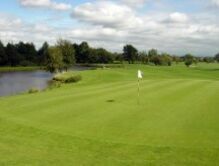 A County Card will be issued, on request, to ALL playing Members of Clubs affiliated to the Cheshire Union of Golf Clubs Ltd and the Cheshire County Ladies Golf Association in respect of whom such Clubs pay an Annual Subscription under Rule 4 Union's Rules & Regualations and equivilant Rule of the Cheshire Ladies Golf Association. Social, House and Non-playing Members of such Clubs are not eligible for a County Card. 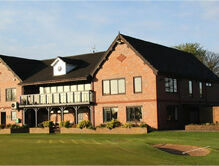 County Cards will be availble from the members Golf Club. The County Card year is 1st April to 31st March following. On presentation of his County Card to the Secretary or any other Official of any of the Clubs listed on the card, a member is entitled to one round of play in the course of the year (Saturdays, Sundays, Bank Holidays and Competition days excepted) on payment of half the normal green fee of the club visited. Holders of the card may also use this card at participating Clubs of other County Unions within the English Golf Union. A TELEPHONE BOOKING IS ESSENTIAL: It is strongly recommended County Card holders contact the host club to confirm restrictions on play before arriving at the club. The Secretary or other Official of the Club which a Member is visiting MUST DELETE the name of the Club on that Member's Card. This Card must not be used by Golfing Societies visiting Clubs for a private competition. Members must notify Clubs of intended visits to ascertain if it is convenient. Parties of NOT MORE than eight are permitted under this scheme. In all cases, the Cheshire Union of Golf Clubs Ltd has no control over the time and day offered for play by the Clubs listed.